Week 5 of my 52 Project – I am posting this later than my normal Wednesday post as I wanted to capture the shuttle Discovery going up on Thursday! Sooo – here is the shuttle launch! While waiting for the launch I had some company between the dolphins and pelicans that were there to see the show! 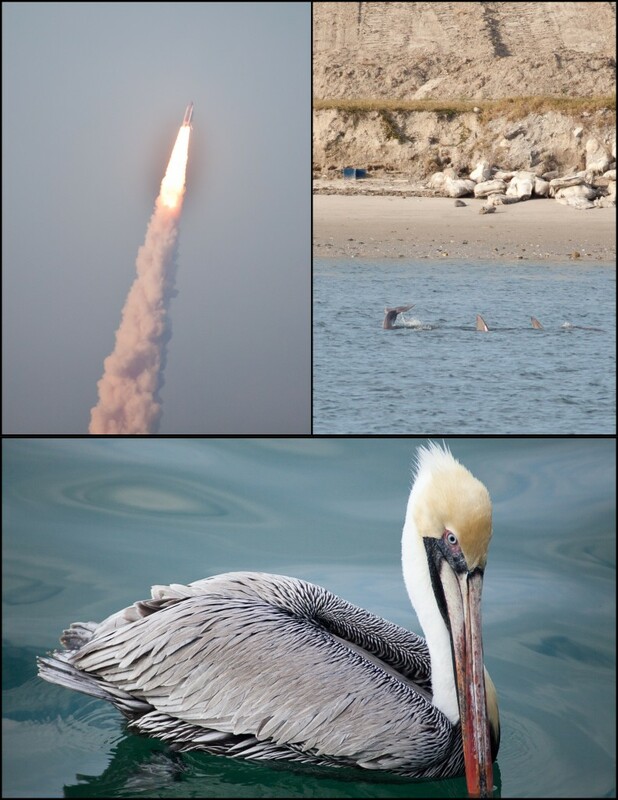 I love going to the shuttle launches, and my goal for the next shuttle launch is to represent my photography school’s newspaper and get access to the press photography area to take pictures! So exciting, there is nothing like the feel and sound of a shuttle launch. One of the many perks of living in Florida. I am pretty jealous you were close enough to get a picture of the launch! So historic! So pretty. And it is awesome you could get to see the space shuttle.